An exploration of mainly unknown musical territory turned out to be a most enjoyable journey in the latest concert of the Friends of Music at the Durban Jewish Centre. 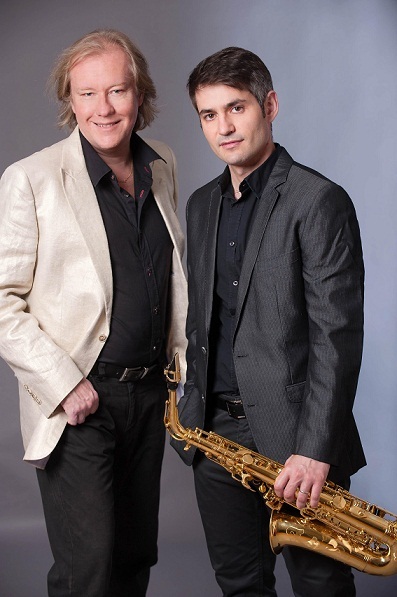 The performers were Christopher Duigan of Pietermaritzburg, who is one of South Africa’s best-known pianists, and David Salleras of Barcelona, Spain, who has an international reputation as a saxophone player and has visited South Africa regularly over the past five years. A good-sized audience heard them present a consistently interesting programme of a dozen items for this rather unusual combination of instruments. They opened with a Fantasie by Jules Demersseman, a Frenchman who died in 1866 at the age of 33. This composer was a friend of Adolphe Sax, inventor of the saxophone, and he produced some of the first works ever written for the instrument. This Fantasie seemed to me to be quite advanced for its time. It exploited admirably the rich, penetrating tone of the saxophone and called for extreme dexterity on the part of both players. They responded with a brilliant performance. An unexpected item was a Sonata in G minor by Bach, written originally for flute and harpsichord. It was lively and delightful. Five of the shorter works in the programme were written by Christopher Duigan himself. They showed him to be an accomplished and often humorous composer, three of his works were entitled First Round, Drowning your Sorrows, and Bar Stool Tango. All very entertaining, with sophisticated and virtuoso parts for the piano. Saxophonist Salleras played one of his own compositions, an unaccompanied piece called Mi Bailora based on Spanish flamenco music. Written in a modern style and played with great skill and panache, it caused something of a sensation among the appreciative listeners. The programme was completed with more familiar and unfailingly attractive 20th century music, two numbers from Darius Milhaud’s Scaramouche Suite (written originally for two pianos) and two by Astor Piazzolla, the Argentine king of the tango.